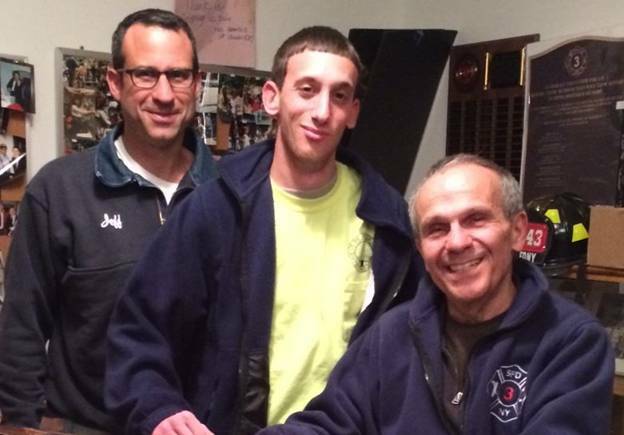 The Newest member of Scarsdale Volunteer Fire Company 3 - Scarsdale Premier Insurance Agency | Advocate Brokerage Corp.
Scarsdale Volunteer Fire Company 3 recently voted in a new member to the company this week. Captain Jeffrey Koslowsky said that Justin Disanto has joined the company that currently has 36 active members and is continuing to serve the Village of Scarsdale through the Scarsdale Fire Department. The volunteer company has been active for more than 75 years. Pictured here from left to right is Captain Jeffrey Koslowsky, new member Justin Disanto and Company President Joe Mongarella.